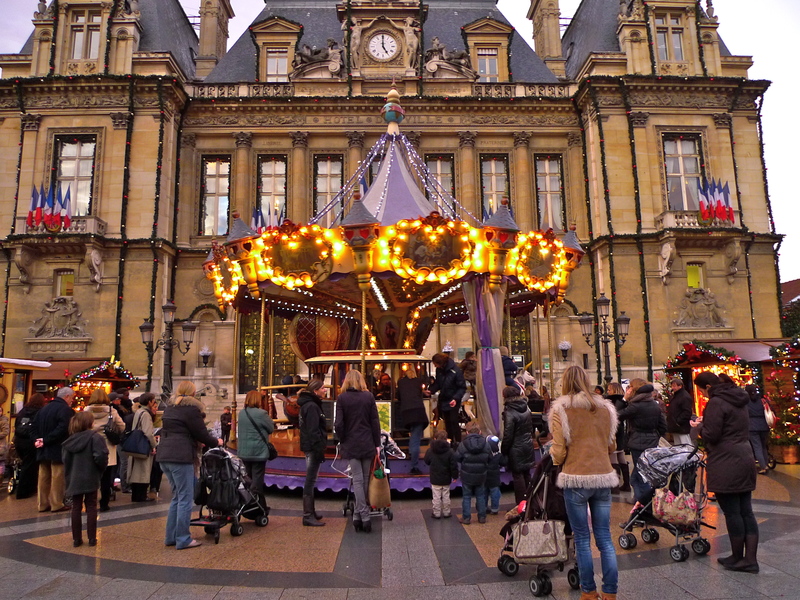 IT’S DECEMBER AND SO it must be the Christmas market season and Paris seems to be awash with Christmas markets this year. 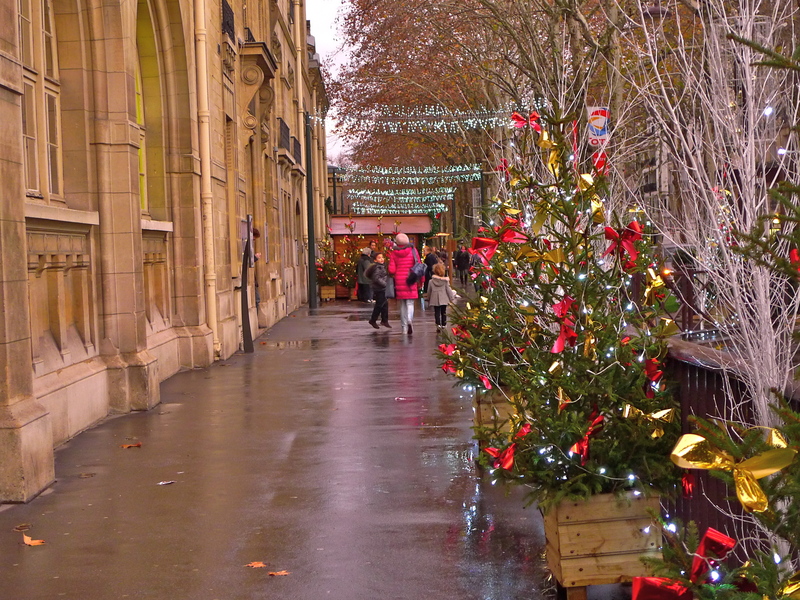 During my travels this week I’ve seen four of the Christmas markets that Paris has to offer. I seldom travel without a microphone and sound recorder to hand and so I was able to catch snatches of sound at each of them. This week I’ve seen the most glamorous Christmas market that Paris has to offer, along with the biggest, the most intimate (for me at any rate), and what I think might be the smallest. 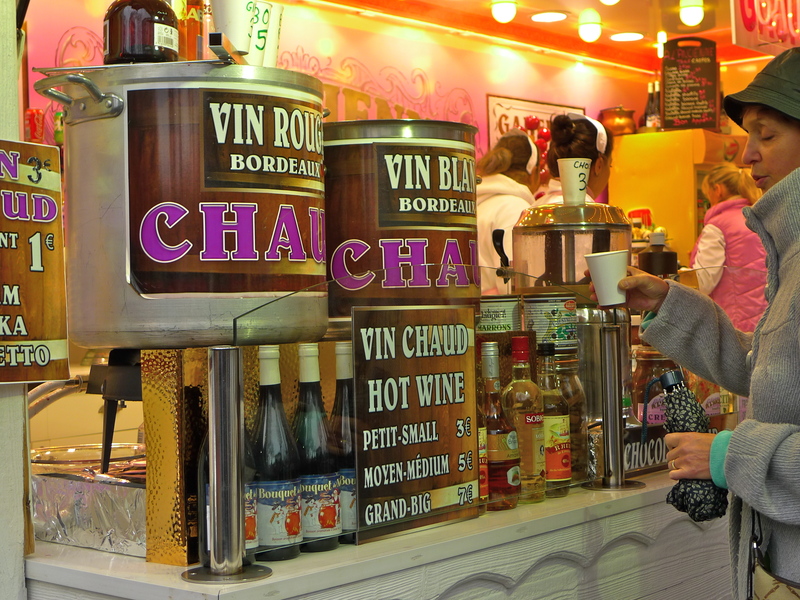 With it’s white painted châlets stretching from the Rond-Point to the Place de la Concorde, Le Marché de Noël in the Champs Elysées has to be the most glamorous Christmas market in Paris. With some fifteen million visitors each year this is the most visited Christmas market within the Paris city limits and, like most Christmas markets, it offers the usual fare of mulled wine, gingerbread, sausages and specialties from various regions of France together with countless gift items and more woolly hats than you could shake a stick at. 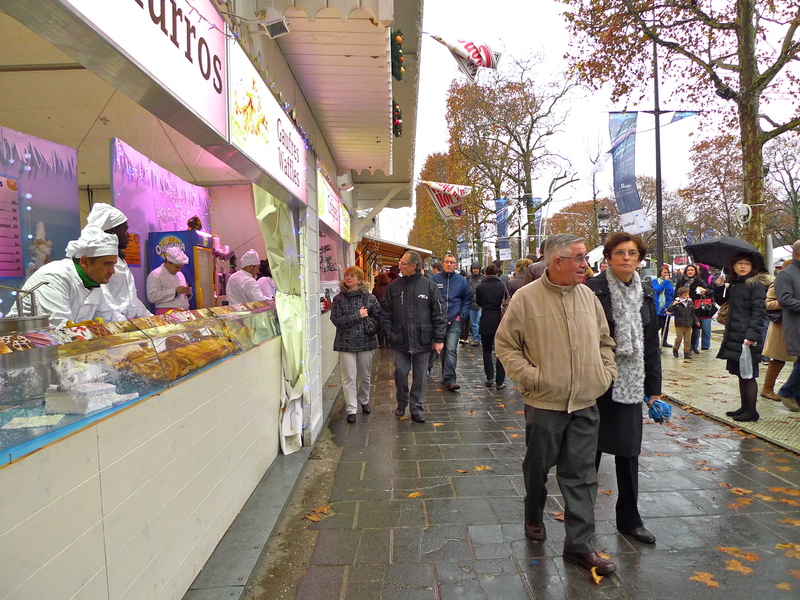 The largest Christmas market in the Ile de France is to be found on the Parvis of La Défense. With its three hundred and fifty châlets, I’ve watched this market being erected in late November every year for the last twelve years and I admit to a tinge of disappointment when it’s demolished every January. 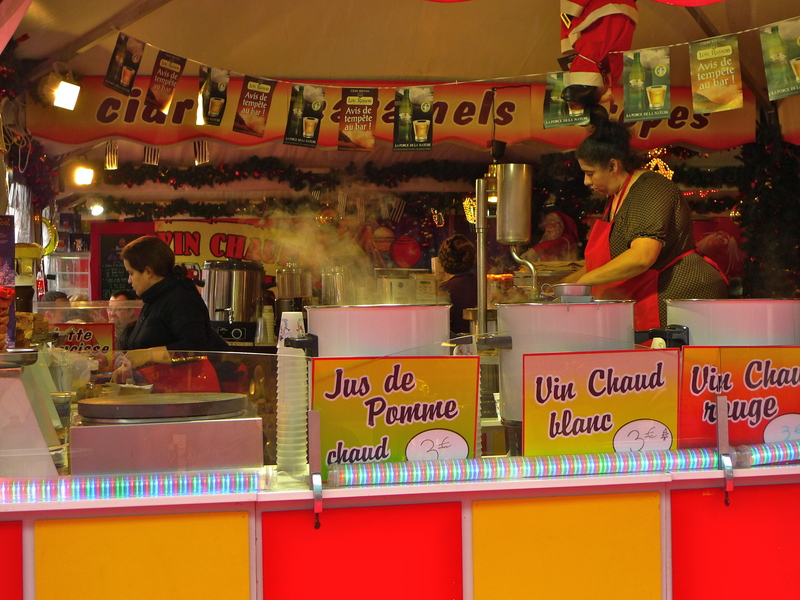 For me, the Christmas market in La Défense sells the best food of any Christmas market in and around Paris. Not surprisingly, the most intimate Christmas market for me is the one closest to home. Turn right at the bottom of my little street and voila, there it is. 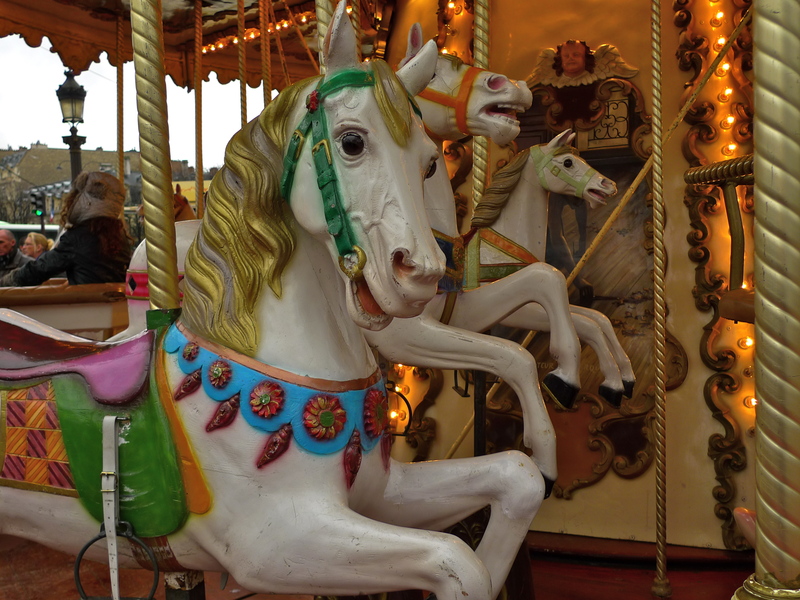 I always associate this market with two things; it’s very friendly, intimate atmosphere and the children. The market sits either side of an Ecole Maternelle, a primary school, and so as the school empties each day the children all drift towards the market on what always seems to me to be a wide-eyed, voyage of discovery. Their excited chatter says it all. The smallest Christmas market I’ve seen so far I came across completely by chance. I emerged from the Metro at Nation at the Boulevard Voltaire exit to find the station entrance surrounded by a tiny market. 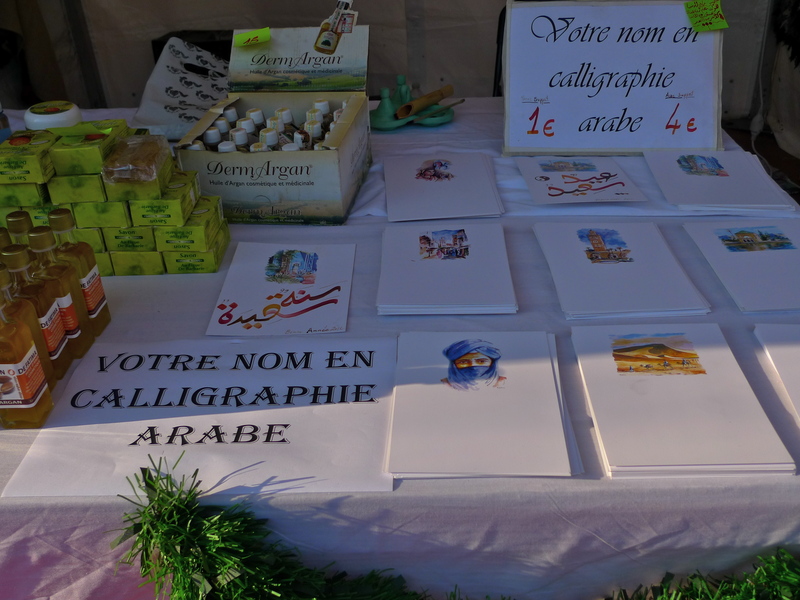 In some ways I found this market very different from the others I’d seen. 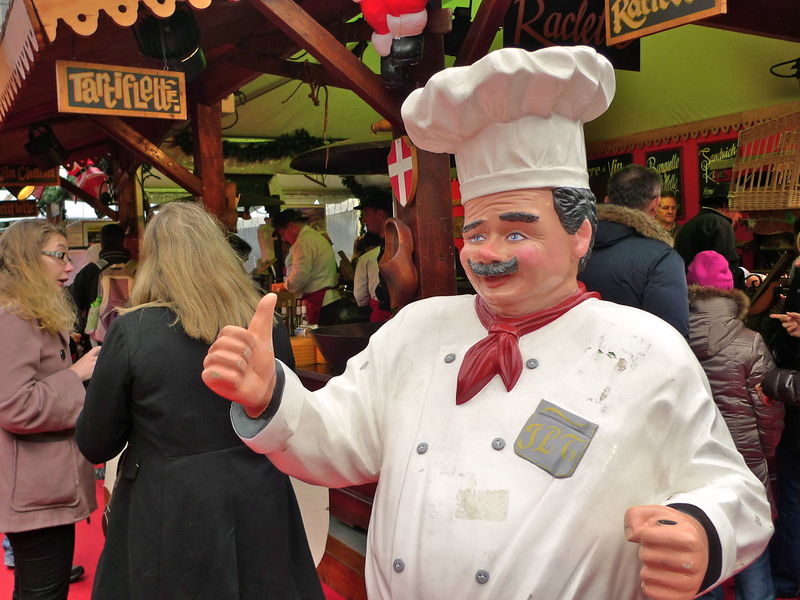 The inflatable rubber Santa seemed to provide a compass point to the Christian festive season amid the stalls below, which served largely Arabic fare. A Christmas carol sung in Chinese added wonderfully to the multi-cultural dimension. 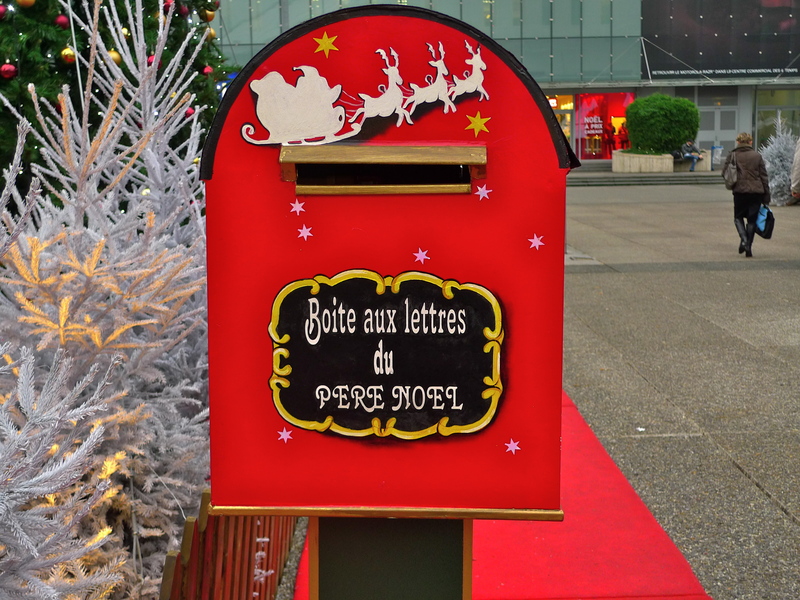 And, as a final note, I was reminded when I was in La Défense to post early for Christmas to avoid disappointment. 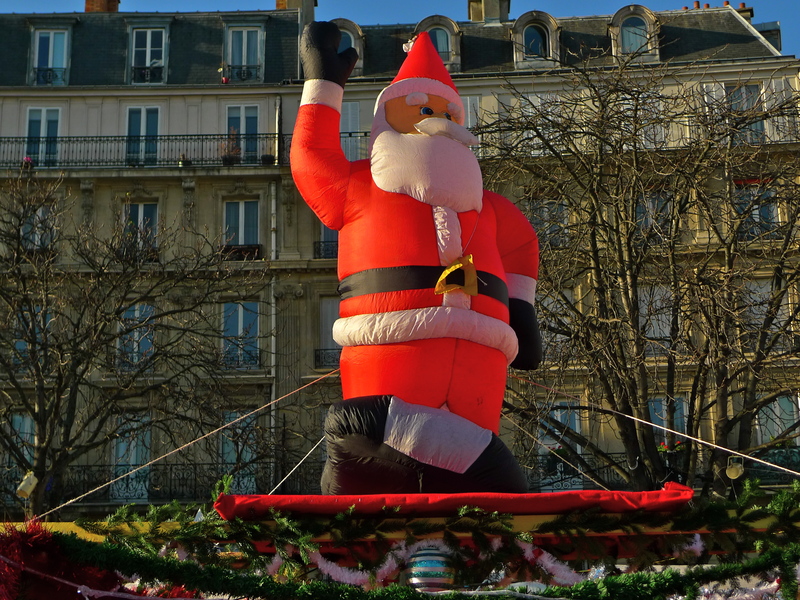 Is it possible that Father Christmas, or Père Noël as he’s known here in France, really does exist? I like to think so!